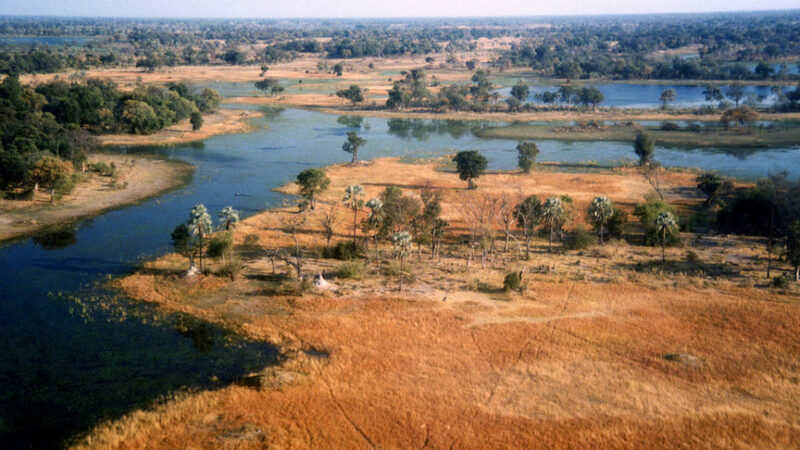 One of Africa’s ‘Great Rivers’, the Okavango is an enormous temporary river that never reaches the sea. Instead, its crystal-clear waters extend across the Kalahari Desert, forming the 16 000 square kilometre Okavango Delta, the largest inland delta on the planet. The Okavango Delta is an abundant oasis amongst the vast plains and pans of the desert that covers most of Southern Africa. Its waterways are a web of meandering and intercepting channels, creating a sanctuary for Africa’s most celebrated wildlife. 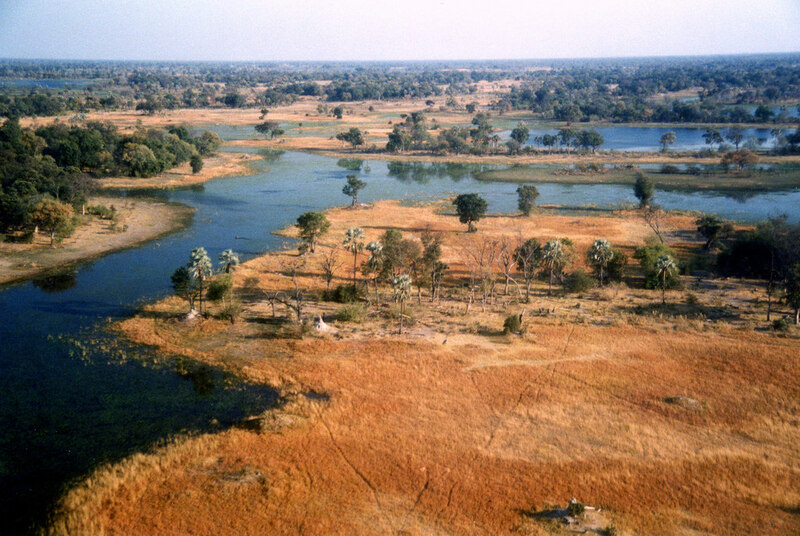 The Moremi Game Reserve protects most of the central and eastern part of the Okavango Delta. 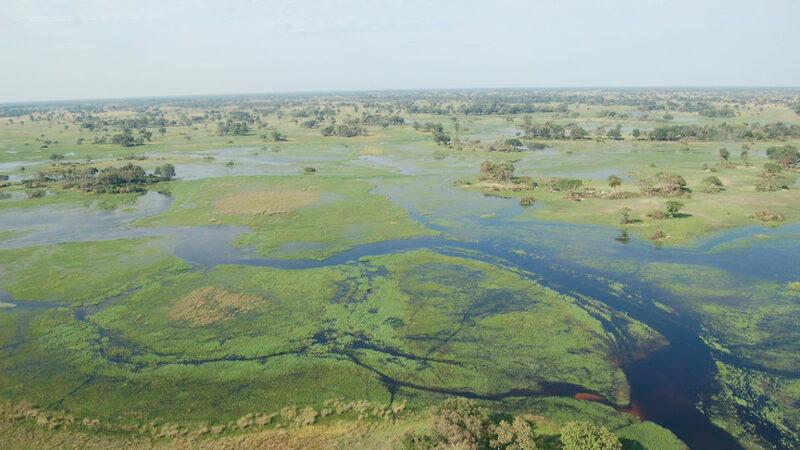 The reserve covers roughly 20 percent of the Delta, just under 5 000 square kilometres, and is rated one of Africa’s leading wildlife reserves. This vast area offers some of the best game viewing in Africa due to its great diversity of habitats and frequently described as one of the most beautiful conservation areas in Africa. Would not do Africa with anyone else. Stephan is so knowledgeable and has so much care for the environment and the animals. This is not a business to him - it is his heart and soul. Each trip has been a delight and I can't wait to go back. The best company I've travelled with. Stephan and his sister are fantastic. Nothing is to much trouble for them. Upon arrival at the Maun International Airport you will be met by our representative holding a sign board with your details. You will depart on a scenic light aircraft flight across the Okavango Delta to a secluded tented camp on the western boundary of the Moremi Game Reserve, Okavango Delta. This is an extremely scenic flight; everyone gets a window seat so remember to have your camera handy. The rest of the afternoon is free to relax, do some guided bird watching or game viewing from the camp, ask the guide to take you on a boat cruise or maybe a walk, do some fishing, or just laze beside the pool. Later in the afternoon you will enjoy a guided afternoon game activity (approximately 3 hours). 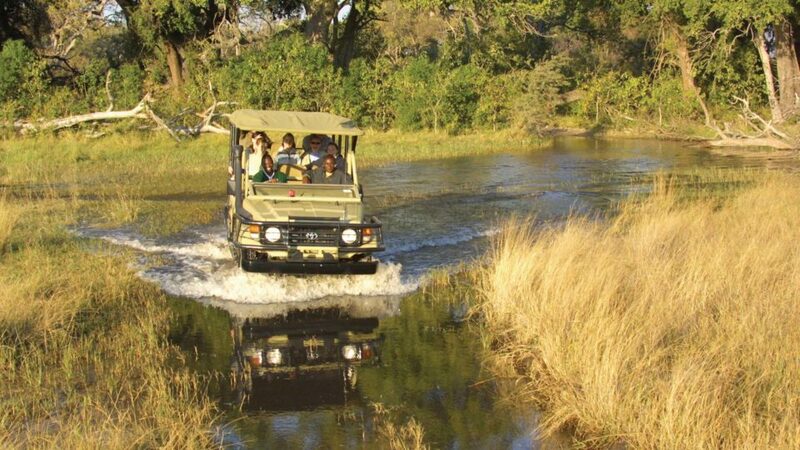 Activities are all included and vary between open vehicle game drives in a private Moremi concession, mokoro excursions, fishing, bird watching and guided island walking safaris. Because of the private location of the camp night drives are also conducted. Return from the guided game viewing activity around sunset and have some time to freshen up before pre dinner drinks and snacks are served, followed by dinner. An early wakeup call to make the most of the morning for prime game viewing. Have a quick coffee or tea before you depart on a game drive for approximately 3 hours. 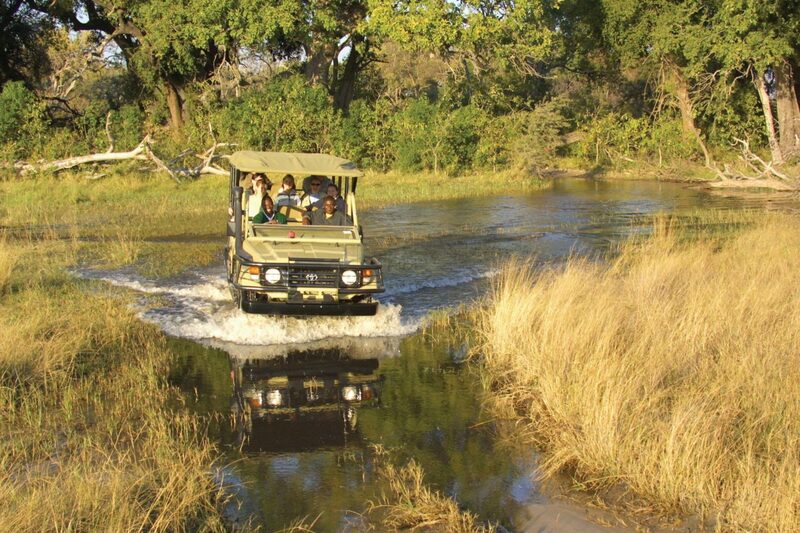 Enjoy an exhilarating game drive tracking wildlife in the beautiful surroundings of the Moremi Game Reserve, a protected area notorious for frequent sightings of lion, leopard and cheetah. Sightings of the African Wild Dog are also frequently reported, an endangered species whose numbers are rapidly decreasing in other regions of Southern Africa. After an exciting game drive return to the camp and have some time to relax and freshen up before a buffet lunch is served. In the late afternoon depart on a guided game viewing activity (game drive, mokoro cruise or walking safari for approximately 3 hours) and return to camp around sunset. Have some time to freshen up before pre dinner drinks and snacks are served, followed by dinner. Breakfast and one more game viewing activity if time allows. You will board a scenic light aircraft flight to a luxury tented camp in the Okavango Delta on the border of the Moremi Game Reserve. 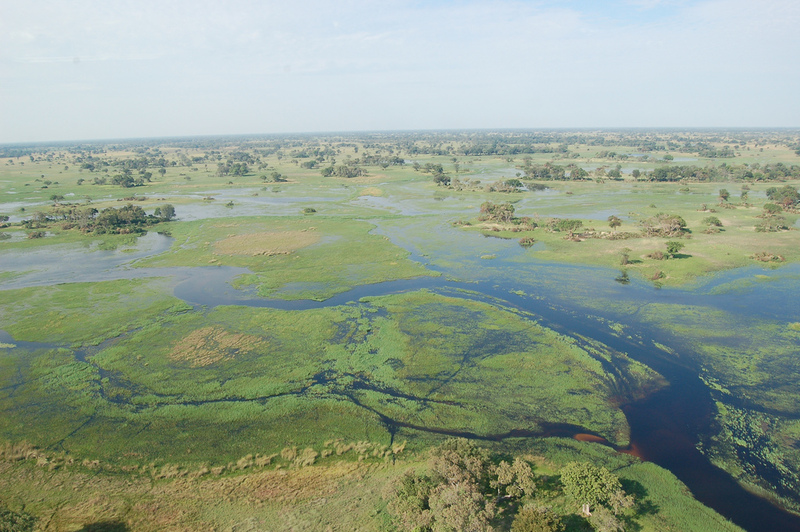 Rated one of the most scenic flights in Africa, your pilot will answer any questions you might have about the Delta and point out herds of wildlife. Everyone gets a window seat so remember to have your camera handy. Upon arrival at the camp you will be welcomed by the friendly staff and have time to settle in. As this is a water based camp within the permanent waters of the Okavango Delta, there are no land activities on offer. The purpose of this camp is to truly experience the water world of the Okavango Delta. Activities include mokoro excursions, boat cruises, fishing and guided walks. The rest of the afternoon is free to relax, do some guided bird watching or game viewing from the camp, ask the guide to take you on a boat cruise or maybe a walk, do some fishing, or just laze beside the pool and enjoy the scenery in one of Africa’s most special places. Later in the afternoon you will enjoy a guided afternoon game activity (approximately 3 hours). Activities are all included and vary between mokoro excursions, boat cruises, fishing, bird watching and guided island walking safaris. You will explore the lagoons and waterways of the Okavango Delta by motorboat and Mokoro (dug-out canoe). The birdlife is abundant and diverse, and other sightings include hippos and crocodiles, and the chance to watch big game having a drink or a bath in the water. Return from the guided game viewing activity around sunset and have some time to freshen up before pre dinner drinks and snacks are served, followed by a hearty dinner. Enjoy a morning game viewing activity, boat cruise, mokoro excursion or walk for approximately 3 hours and return to the camp for some leisure time. Laze beside the pool, ask the guide to take you fishing or bird watching, or just relax in the beautiful surroundings of the Okavango Delta. A buffet lunch is served at the camp. Later in the afternoon you will depart on an afternoon activity (2 – 3 hours), boat cruise, mokoro excursion or walk, and enjoy sundowner drinks at a scenic location. Return from game viewing activity around sunset. Have some time to freshen up before pre dinner drinks and snacks are served, followed by a hearty dinner. 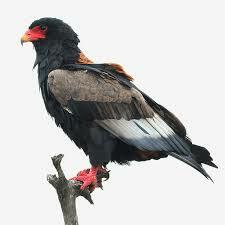 If time allows, you have the morning free for one last game viewing activity. Get transferred to the private landing strip near the camp and board a scenic light aircraft flight to the Maun Airport where an exceptional safari experience ends.